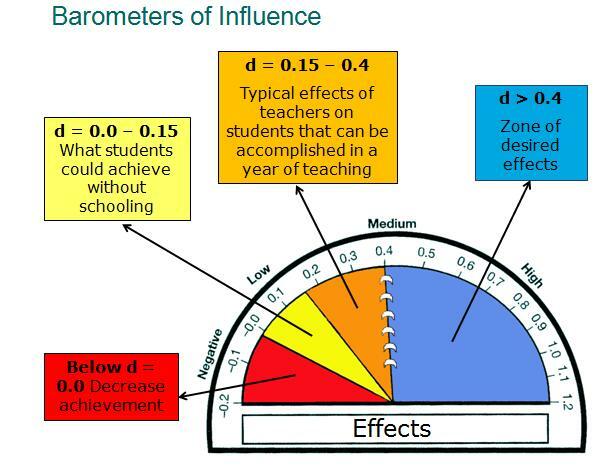 Research - Learning Insights, Inc.
"All influences above the h-point (d=0.40) are labeled in the 'Zone of desired effects' as these are the influences that have the greatest impact on student achievement outcomes". John A.C. Hattie, Visible Learning, pg. 19. According to Hattie, Visual-Perception programs are ranked 35th on his list of programs having the greatest effect on student achievement with an effect size of .55. "Visible Learning and the Science of How We Learn"
To learn more about John Hattie's "Visible Learning"